There is a hierarchy of hazard mitigation that many people in the electrical industry don’t think about, either because of perceived cost, or complexity, or simply not knowing. A hazard will always be a risk to the worker until it has been eliminated, and this is the goal in a perfect world. Design products and systems that remove the hazard completely. However, we aren’t there yet, so there is an industry standard to the way we look at a risk assessment, whether it is for electrical hazards, or any other hazard in the work place, and we lower the risk to the worker to an acceptable manner. When looking at a specific work task, the first thing that should be looked at is, can the hazard be eliminated completely or is there another way to do this that will eliminate the hazard. That covers the first two. Next, is there an engineering change such as a change in the breaker settings, or adding a barrier that will lower the risk to acceptable manner. These first three are where the best system can be developed, these are all permanent changes that require no human interaction after the fact. No continous training, no forms, etc. however the next 3, have only the advantage of lowering the risk, but all the problems associated being prone to human error. Warnings and Administrative controls include signs, training, best practices, etc. These mitigation techniques require document retention, continous training, and auditing to ensure that the controls are being used. Finally PPE, where too many start, is the last line of defense. If none of the above controls have reduced the risk below the acceptable threshold, PPE is used to ensure that the task is survivable if something doesn’t work as planned. For electrical work, PPE is required (not optional) for all energized work over 50V. Shock hazard is the most prevalent and the majority of the systems in the older plants in North America will be over 50V, however not all will have enough energy to be a high arc flash risk. PPE is at the bottom, because its goal is to ensure that if there is an incident that it will be survivable by the workers. This doesn’t mean that they will be able to go to work tomorrow, it only means that they will live. 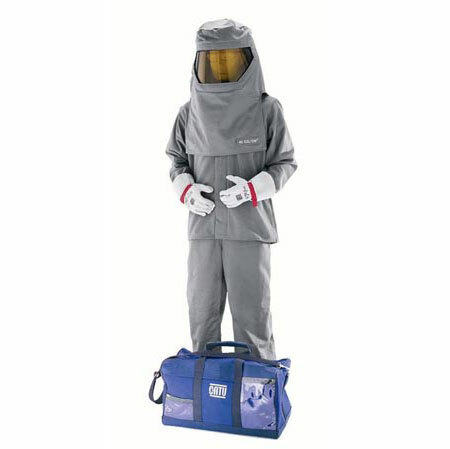 Arc flash protection is designed to limit thermal energy to the body such that only second degree burns are a result of the incident energy, and that is at 18inches. 18inches is the typical working distance to your torso, meaning that your hands, if they are the cause of the incident, may have greater than second degree. You may not be able to work again, but you will survive all be it a new person. In future articles I will talk about each of the hierarchy of controls mentioned here, and provide examples that you can use at your workplace, specifically targeted at Arc Flash Mitigation techniques.